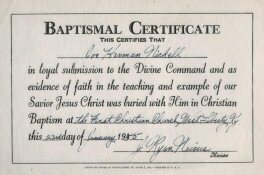 I was raised in the First Christian Church in my hometown of West Liberty, Ky. (a Disciples of Christ congregation), where I was baptized at the age of ten. 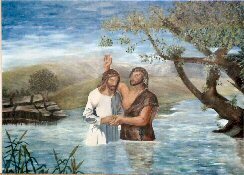 (The painting is from the church bapistry.) I was active in the church as a bible reader, though since my college years I have been a Humanist.